Global climate patterns have undergone a remarkable shift in the past 600,000 to 1.2 million years. Before the transition, glacial cycles, consisting of cold ice ages and milder interludes, typically lasted about 40,000 years—but those weaker cycles gave way to longer-lasting icy eras with cycles lasting roughly 100,000 years. In between the cold ice ages are periods of thawing and warming known as interglacial periods, during which sea levels rise and ice retreats. Here Past Interglacials Working Group of PAGES identifies and compares interglacial periods over the past 800,000 years, including our current era. Glacial periods give way to interglacials on some occasions when the Northern Hemisphere’s summer solar insolation (the amount of solar radiation received by Earth’s surface) increases alongside corresponding decreases in ice volume and increases in temperature and atmospheric carbon dioxide (CO2). Although the end of an interglacial period is a slow process requiring the sequential reversal of these conditions, the onset of an interglacial period can be relatively fast. Within the glacial periods, there are secondary fluctuations. These are known as interstadial and stadial periods, which occur when glaciers retreat and advance, respectively. Despite the occurrence of interstadials and stadials, the researchers evaluated the overall strength of interglacials. In total, the researchers identified 11 different interglacials during the study period. In addition, using sea surface temperature and other data, they found that two interglacial periods in particular—marine isotopic stage (MIS) 5 and MIS 11–were particularly strong almost everywhere. Citation: Sullivan, C. (2016), Characterizing interglacial periods over the past 800,000 years, Eos, 97, doi:10.1o29/2016EO047001. Published on 2 March 2016. Figure 10-16. Kanchenjunga Glacier (K) from 1991 to 2015, green arrows indicate locations of enhanced supraglacial lakes since 1991. Purple arrow indicates areas of thinning at higher elevations in the region. Location 2 is the main junction area. Kanchenjunga Glacier is the main glacier draining west from Kanchenjunga Peak, also listed on maps as Kumbukarni. The glacier is similar to Zemu Glacier flowing east from the same mountain into Sikkim, in the heavy debris cover that dominates the glacier in the ablation zone extending from the terminus for 15 km and an altitude of 5600 m. Identifying the retreat is difficult due to the debris cover. Racoviteanu et al (2015) examined glaciers in this region using 1962 and 2000 imagery. They found area losses of 14% for debris covered glacier and 34% for clean glaciers. The debris covered glaciers terminus response is even more muted indicating why terminus change is an easy measure of glacier change but not always the best. For Kanchenjunga Glacier Racoviteanu et al (2015) indicate the glacier area declined by just 4-8% from 1962-2000. 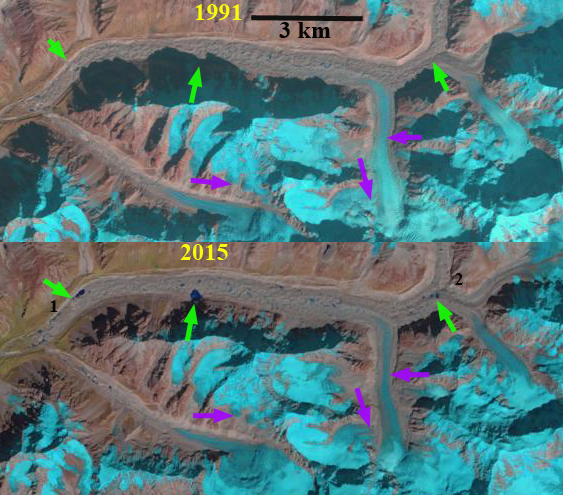 What is apparent in the Landsat images at the green arrows is the increase from 1991 to 2015 of supraglacial lakes. Also features of thinning are evident in the mid reaches of the glacier, purple arrows, where tributaries have narrowed and detached from the main glacier. A closeup of the main glacier junction 12 km above the terminus indicates the number of large supraglacial lakes. These cannot form in a region where melting does not dominate over glacier motion. The Google Earth image from 2014 of the terminus area indicates a patchwork of moraine cored ice dotted with supraglacial lakes and dissected by the glacial outlet river in the lower 3 km of the glacier. This is clearly not an active portion of the glacier, it is thin not moving and does not fill even the valley floor. An overlay of images indicates the lack of motion. The heavy debris cover has slowed retreat and thinning, however, the lower glacier is poised for an increased rate of retreat with merging of supraglacial lakes, which will lead to further area losses. The Kanchenjunga Glacier is losing volume like all other 41 glaciers examined in detail and linked at the Himalayan Glacier Index page. Google Earth image of the main glacier junction region (2) Supraglacial lakes in the area of at 5200 m.
Google Earth image of supraglacial lakes 2-5 km above the terminus and the region along the north margin of the glacier where the glacier is receding from the lateral moraine. 2014 Google Earth image of terminus reach. 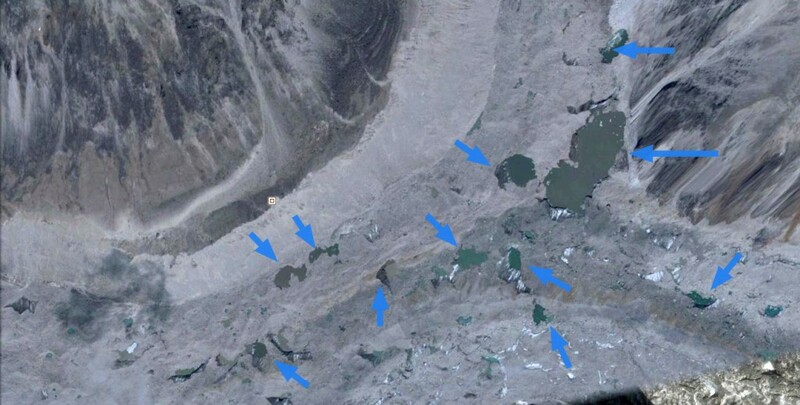 Black arrows indicate ice cored moraine, blue arrow the lowest large supraglacial lake, 2.5 km above the terminus and red arrow the last remnant of ice. The next few decades do not bode well for the world’s smallest glaciers. These tiny glaciers, less than half a square kilometer, dot mountains all over the world and account for 80%–90% of the globe’s mountain glacier population. But as temperatures rise, scientists worry that these glaciers will all but disappear. Even if they seem insignificant because of their size, these glaciers “respond very quickly and therefore they can contribute significantly, even on the global level, in terms of sea level rise for the next decade,” said Matthias Huss, senior lecturer at the University of Fribourg in Switzerland and lead scientist in the research. Larger glaciers of the world stretch and grow under the weight of accumulating snowfall, but small glaciers depend more on snow blown in from a storm or avalanche and generally stick to one place. In essence, they are like large “ice patches,” Huss said. During hot summers, these very small glaciers lose mass in the form of meltwater, which feeds streams and irrigation systems in the valleys below. On average, the glaciers grow about 1.5–2 meters every winter and shrink about 2.5–3 meters every summer. In a particularly hot summer, a very small glacier can lose up to 20% of its mass, Huss said. In the past few decades, scientists have noted that these glaciers are trending towards losing more mass than they gain. Twice a year for the past several years, Huss and his team visited 10 glaciers around Switzerland to monitor their mass gain and loss. They applied their measurements to a mathematical model that also incorporated data from the 1970s. The model showed that Switzerland’s 1133 glaciers are in great peril and most of them risk completely vanishing by 2025. The models produced similar results when they were applied globally—in the next couple of decades, very small glaciers are at a great risk of disappearing completely, Huss reported last week at the Fall Meeting of the American Geophysical Union in San Francisco, Calif. The acceleration of glacier mass loss isn’t exclusive to very small glaciers—even the world’s larger mountain glaciers have been shrinking, according to a 2014 state of the climate report in the Bulletin of the American Meteorological Society. Since the 1980s, the report said, mountain glaciers worldwide have lost a meltwater equivalent of 16.8 meters—which is like slicing 18.5 meters off the top of any given glacier—and this rate of melt is accelerating. However, “in terms of the global retreat of glaciers, the small glaciers are responding the fastest to the recent climate change,” said Valentina Radic, an assistant professor at the University of British Columbia. She studies how climate change affects glaciers but wasn’t involved in this study. Very small glaciers “are good indicators of what’s actually happening because they respond fast to the recent changes, giving us a good overview of what is happening to the present climate,” Radic said. Large glaciers may take hundreds of years to respond to shifts in the climate, while small glaciers may only take a decade or two. Furthermore, Huss said, as larger glaciers melt because of rising temperatures, they still supply water to streams and irrigation systems. But these small, extrasensitive glaciers can disappear in a geologic flash, suddenly cutting off the water supply and exposing bare, mountain rock, which crumbles and can become a natural hazard. They may not be mighty in size or even influential in the grand scheme of global climate change, but humans and animals alike depend on these small glaciers’ annual melt for water, and their disappearance could put a small but significant dent in sea level rise. The researchers estimate that if all the very small glaciers disappeared, they could contribute about 7% to the total impact that glacier melt has on sea level rise. Citation: Wendel, J. (2015), World’s smallest glaciers risk vanishing in warm climate, Eos, 96, doi:10.1029/2015EO042411. Published on 24 December 2015. On September 24, 2014, the Operational Land Imager (OLI) on Landsat 8 acquired this image of Malaspina Glacier. The main source of ice comes from Seward Glacier, located at the top-center of this image. The Agassiz and Libbey glaciers are visible on the left side, and the Hayden and Marvine glaciers are on the right. The brown lines on the ice are moraines—areas where soil, rock, and other debris have been scraped up by the glacier and deposited at its sides. Where two glaciers flow together, the moraines merge to form a medial moraine. Glaciers that flow at a steady speed tend to have moraines that are relatively straight. But what causes the dizzying pattern of curves, zigzags, and loops of Malaspina’s moraines? Glaciers in this area of Alaska periodically “surge,”meaning they lurch forward quickly for one to several years. 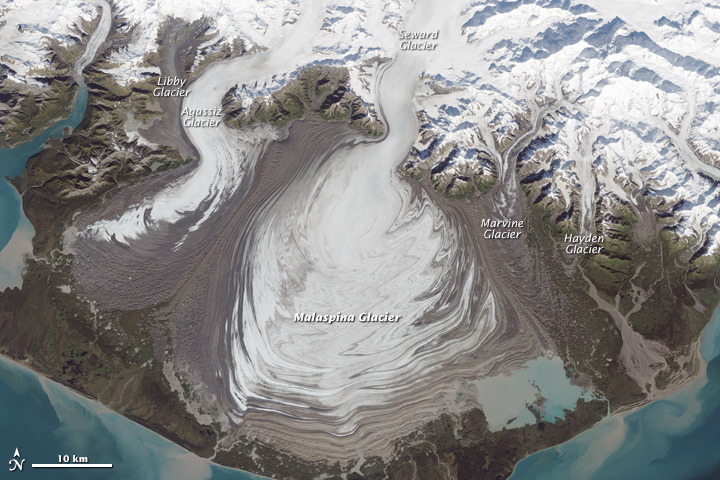 As a result of this irregular flow, the moraines at the edges and between glaciers can become folded, compressed, and sheared to form the characteristic loops seen on Malaspina. For instance, a surge in 1986 displaced moraines on the east side of Malaspina by as much as 5 kilometers (3 miles). See the full article for the list of references with links. Imagine you are Sherlock Holmes bent on solving a mystery but the evidence is starting to crumble and eventually you will be left with worthless dust. This is the worry which haunts ice scientists delving into Earth’s threatened glaciers. Deep inside them, the slumbering ice slabs hold information about Earth’s climate past, and pointers for the future. The frozen archive is formed from compacted layers snow which fell hundreds, thousands or even hundreds of thousands of years ago. Learning more about the past through examining the glaciers could help us predict how our planet will respond when global warming kicks into higher gear—just decades from now, if predictions are right. 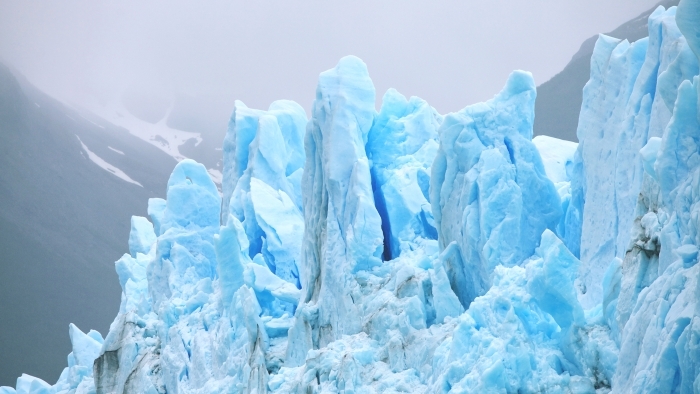 Only a tiny amount of this glacial material has ever been extracted and examined. And as temperatures rise, the fringes of many glaciers are softening to mush, threatening the survival of this precious testament. 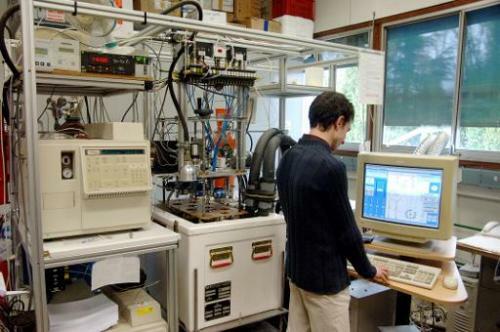 “We are the only scientific community working on climate history whose research material is disappearing,” lamented Jerome Chappellaz at the Laboratory for Glaciology and the Geophysics of the Environment in Grenoble, southeastern France. That “something” is a new scheme to build a vault for ice cores extracted by scientists from the deep chill of Antarctica. 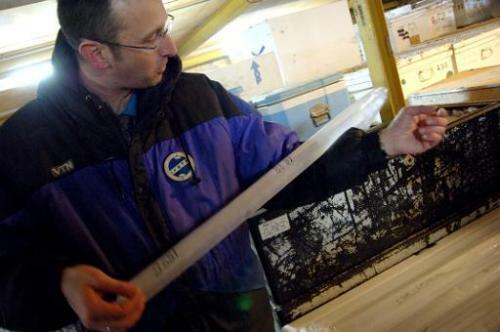 About 50-130 millimetres (two to five inches) wide, in sections between one to six metres (a yard to 20 feet) long, ice cores are glaciology’s mainstay. Within them are telltale bubbles of gas, notably the greenhouse-gas carbon dioxide (CO2). 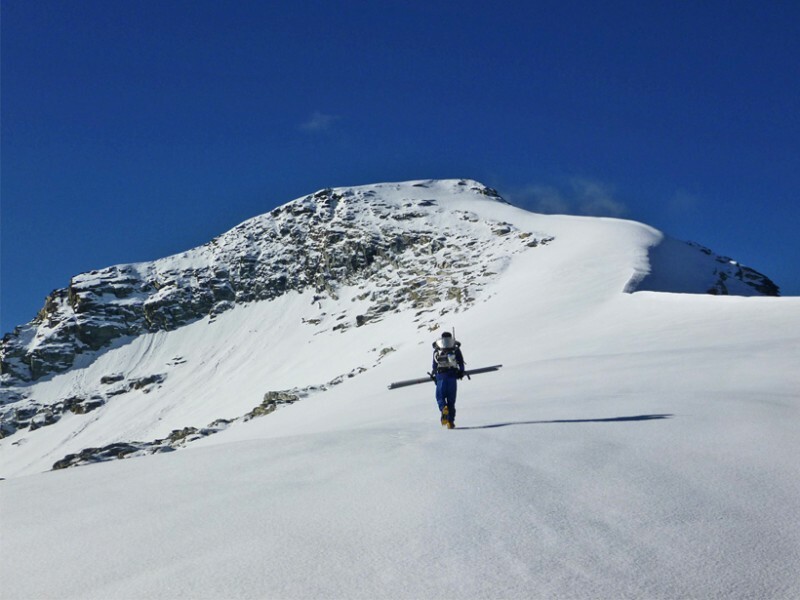 By studying them, “past eras can be reconstructed, showing how and why climate changed, and how it might change in the future,” says the US National Snow and Ice Data Center. The deepest-ever core, drilled in Antarctica, is 3,270 metres long, and revealed the world has gone through eight ice ages over about 800,000 years. These cycles, which profoundly affect life on our planet, generally move in lockstep with greenhouse gases. Until the start of the Industrial Revolution in the mid-18th century, these heat-trapping gases had natural causes. They are casting around for funding and sponsorships. The UN’s Educational, Scientific and Cultural Organisation (Unesco) is considering joining the initiative. “We support the idea although at this stage, we haven’t really figured out how we can provide it,” said Anil Mishra of Unesco’s International Hydrological Programme. Mountain glacier cores, as opposed to ice sheet cores, are generally 100 to 150 metres deep. They provide more recent snapshots of climate but invaluable local insights. They can shed light on how different mountain regions respond to sharp swings in temperature, weather patterns and atmospheric pollutants such as soot—a useful tip in tackling flood risk and securing water supplies. The first contributions to the vault will come next year, from the Col du Dome, a site 4,300 metres high on Mont-Blanc, Europe’s highest peak, and more will come in 2017 from the Illimani glacier, 6,300 metres above the Bolivian capital of La Paz. The scheme’s organisers are hoping that American, Chinese, Italian, Swiss and South American researchers will also contribute cores. Future generations may learn even more from the capsules than current science allows, said Chappellaz. “A few centuries from now, who knows what kind of technology may be available for analysing the cores?” he asked. To predict Earth’s future, geologists use particle accelerators to understand its past. Geologists once thought that, until about 18,000 years ago, a mammoth glacier covered the top two-thirds of Ireland. Recently, however, they found evidence that it wasn’t just the top two-thirds: The Irish glacier was much larger, completely engulfing the country and extending far offshore. They learned this with the help of a particle accelerator. Glaciers are always on the move, advancing or retreating as fast as 30 meters a day or as slow as half a meter a year. During the most recent ice age, huge glaciers spread over much of Earth’s northern climes, extending all the way from the northern tip of Greenland to Cape Cod and across to Chicago, which was buried under a kilometer of ice. It was the same in Europe, with parts of the British Isles, Germany, Poland and Russia all hidden beneath an enormous ice sheet. “For the last 2.5 million years of Earth’s history, we’ve had this pattern of alternating ice ages and interglacials,” says Fred Phillips, a professor in New Mexico Tech’s Department of Earth and Environmental Science who, among other things, is an expert at dating the movements of glaciers. Over the past 30 years, scientists have begun to use particle accelerators to help them track how these glaciers move. The process begins with a globetrotting geologist and some huge rocks. As a glacier recedes, it will sometimes pluck a boulder from its depths and push it into daylight. While trapped beneath the ice, the boulder is shielded from the barrage of cosmic rays that continuously assaults Earth’s surface. But as soon as the boulder is exposed, cosmic rays begin to interact with the atoms inside the rock, rapidly producing rare isotopes called cosmogenic nuclides, such as helium-3, neon-21 or beryllium-10. To determine just how long ago the boulder was forced to the surface, geologists like Phillips use a hammer and chisel—or, sometimes, rock saws and small explosive devices—to remove a chunk of rock about the size of a grapefruit. They bring that sample back to the lab, grind it up and extract one specific mineral, such as quartz, that produces cosmogenic nuclides at a known rate. 1. 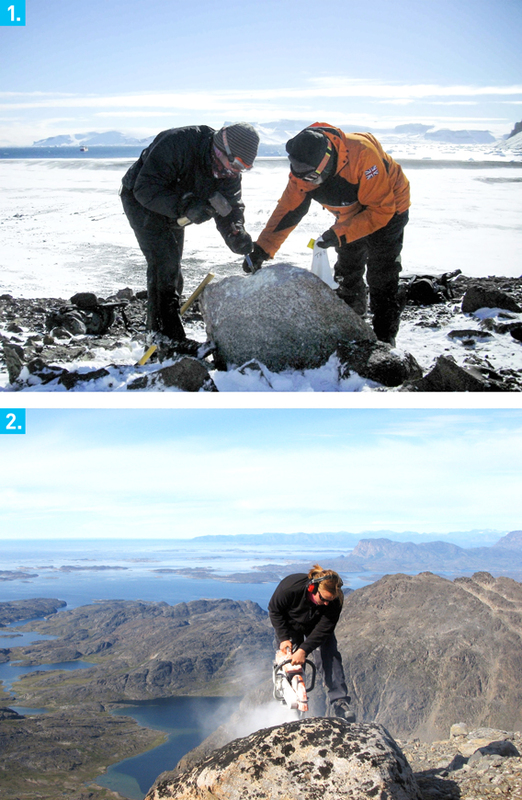 Geologists in Antarctica use a hammer and chisel to sample the upper few centimeters of a boulder for cosmogenic nuclide dating. 2. Bethan Davies samples a boulder for cosmogenic nuclide dating in Greenland. After isolating one particular nuclide from that mineral, they send a beam of cesium ions at the sample. That adds an extra electron to atoms within the sample, forming negative elemental or molecular ions. These ions are sent into an accelerator beam and smashed through a thin foil or gas, which strips them of electrons and destroys any remaining molecules. Finally, the ions are sent into a detector that counts the ratio of unstable to stable atoms, revealing the amount of cosmogenic nuclides. The more cosmogenic nuclides in the sample, the more time has elapsed since the glacier ejected the boulder. The original idea for this type of geological dating came from none other than Raymond Davis Jr., the Brookhaven National Laboratory nuclear chemist who won a Nobel Prize for detecting neutrinos streaming from the sun. Davis came up with the idea working in collaboration with Oliver Schaeffer, an expert in the environmental production of background radioactivity. Although the duo correctly set forth the basic experimental concept for using cosmogenic nuclides to date rock samples in the mid-1950s, it took nearly 30 years for detector technologies to catch up with their ideas. Once possible, the technique took off. “Since the mid-1980s, there have been thousands of scientific papers published on glacial chronologies and other geological dating using this method,” Phillips says. Today, Phillips says, significant effort is being made to understand the rise and fall of the West Antarctic Ice Sheet. By understanding the past, researchers like Phillips might better understand what’s to come. Gunbjörn Fjeld, part of the Watkins Mountains in southern East Greenland, is the country’s highest peak, at 2.3 miles (3.7 kilometers) above sea level. Greenland is famous for its massive glaciers, but the region was relatively free of ice until about 2.7 million years ago, according to a new study. Before then, the Northern Hemisphere had been mostly ice-free for more than 500 million years, the researchers said. The Greenland ice sheet began building after plate tectonics and the Earth’s shifting tilt reshaped the region, the researchers found. The team narrowed the cause down to three factors: plate tectonics that lifted the region, creating soaring snow-capped mountain peaks; a northward drift from plate tectonics; and a shift in the Earth’s axis that caused Greenland to move farther north, away from the sun’s warmth. “Our work was motivated by the question of why extensive glaciations of Greenland started only during the past few million years,” the researchers wrote in the study. About 60 million years ago, a plume from the Earth’s mantle, several layers below the planet’s upper crust, thinned out part of Greenland’s lithosphere above it. In some parts of Greenland, the lithosphere can be about 124 miles to 186 miles (200 to 300 kilometers) thick. But because of the plume, the lithosphere in East Greenland is often thinner than 62 miles (100 km), making it easy for rising hot rocks in the mantle to cause uplift. About 5 million years ago, hot rocks underneath Iceland rose from Earth’s mantle, and flowed northward toward East Greenland. With an already-thin lithosphere, this underground activity easily bolstered Iceland’s mountains, causing them to reach more than 1.9 miles (3 km) above sea level. In West Greenland, where the lithosphere is thicker, the mountains reach less than 1.2 miles (2 km) above sea level, the researchers said. When the scientists applied the underground activity from Iceland to a computer model, they saw how it acted over time. Moreover, the researchers found clues in the eastern part of the country, where glaciation first began. Dating showed that rock samples from the tops of mountains in East Greenland were uplifted within the past 10 million years, when the hot rocks would have been pushing up the mountains. In the new study, the researchers found evidence that Earth’s polar ice sheets began growing between 3.1 million and 2.7 million years ago. However, this time frame means that the glacier growth preceded the growth of major glaciers across North America — the earliest compelling evidence suggests Northern glaciers began growing about 2.7 million years ago. This finding suggests that most of the earlier ice growth occurred in the Antarctic. The largest and longest glacier in Europe snakes among mountain peaks like a river frozen in time. Glaciers form when layers of snow build upon one another year after year. Eventually, the lower layers re-crystallize into ice. Tiny air bubbles in the ice preserve bits of ancient atmosphere, making glaciers an important research tool for scientists looking to understand the climate of thousands of years. 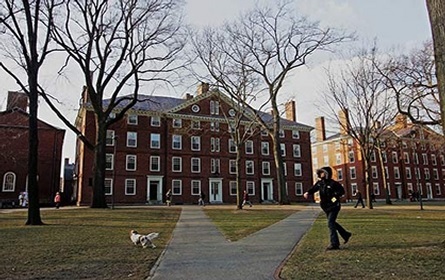 The findings also reveal that “a change in deep-sea heat transport had a profound effect on the Earth’s climate,” said lead study author Stella Woodard, a geochemist and paleooceanographer at Rutgers University in New Jersey. Deep-sea currents are responsible for about 30 to 50 percent of global heat storage and transport. In the study, Woodard and her colleagues analyzed the shells of microscopic bottom-dwelling organisms known as foraminifera in ancient sediments in the Pacific collected by the International Ocean Discovery Program. “I chose a site in the Pacific because it holds about 50 percent of the world’s ocean water,” Woodard told Live Science. 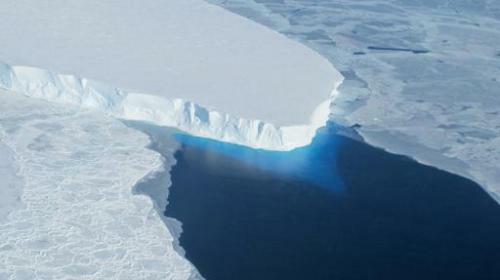 The researchers suggested that the growth of the Antarctic ice sheet altered ocean currents worldwide. More Antarctic sea ice would have meant there was less warm, salty water from the North Atlantic that rose upwards and mixed with the surface waters surrounding Antarctica. 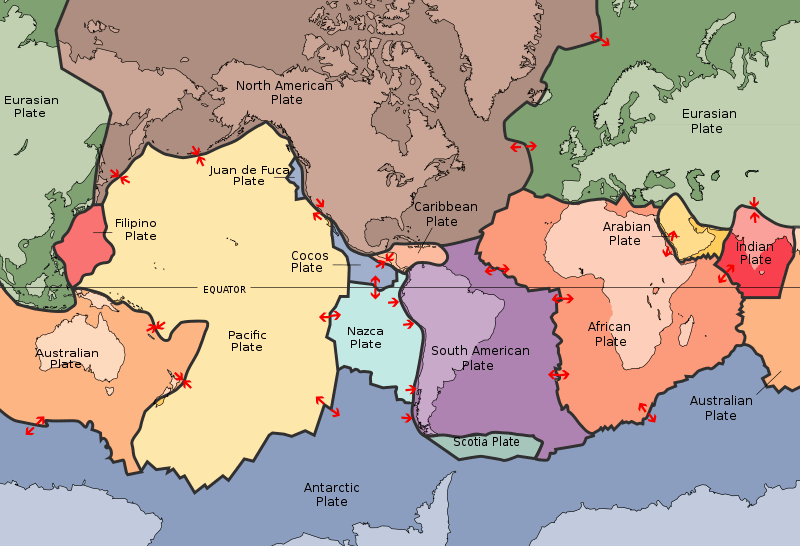 Instead, this conveyer belt of heat would have redirected into the deep waters of the Pacific Ocean, and these changes in heat flow might have been substantial enough to initiate glacier formation in the Northern Hemisphere. The findings do not necessarily exclude other explanations for the Late Pliocene cooling, Woodard noted. However, the fairly rapid change in temperature and circulation that the researchers suggested does imply that a slow process, such as the closure of the Panamanian Seaway, “could have played only an indirect role in the climatic cooling about 2.73 million years ago,” Woodard said.